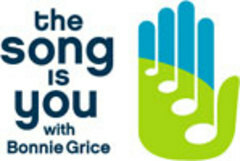 "The Song is You" is a weekly radio show that invites guests to dip into their iPods and their memory banks to explore the soundtrack of their lives and how music has influenced and inspired them. "The Song is You" is a weekly radio show that invites guests to dip into their iPods and their memory banks to explore the soundtrack of their lives and how music has influenced and inspired them. Guests pick their Top 10 favorites including a "Guilty Pleasure" song. It's informal, fun and revealing!